We are all little Instagram devotees and love having a little scroll and finding new accounts. For our September inspiration we are taking five of some of our favourite Graphic Design accounts and sharing them with you. This will help you get some much needed inspiration to push through the last three months of the year (or just spruce up your Instagram feed a little bit). So, starting from the very top and in no particular order, here are a few accounts we have been loving over this past month. @allin_Design– Inspired by technological glitches, this Bristol based designer creates intriguing designs with stunning pops of colour. This account is filled with an underlying 80’s vibe, with these distinct glitches you would have seen at the start of the tech revolution. When we are feeling down in the dumps it always gives us that little pop of colour we’ve been craving. @magdiellop– Another account filled with dreamy colours and abstract design. Magdiel is based in Dallas Texas. Creating gorgeous designs through an abstract mix of natural objects. Their most recent designs are created from gorgeous portraits and we highly recommend checkin’ it out. @walidbeno – Walid is a designer/computer science engineer, who gives us all the futuristic vibes, with these stunning purple hues. The account contains a striking level of detail, as designs are worked from sketch to final image. We love lookin’ to this account for its coordination and exposure of his process. @plaidmtn– Matt is a freelance illustrator and designer. The account displays a variety of work that we love to look to when needing some inspiration. The large variety helps us out in times of a design slump. @dfrehn– Dylan is a graphic designer, who has set himself the challenge of creating a poster a day for 365 days. The use of texture in his account is very unique in a world of smoothed bubble-like designs. We love seeing what this distinctive designer is creating every day. With much anticipation to his next upload. 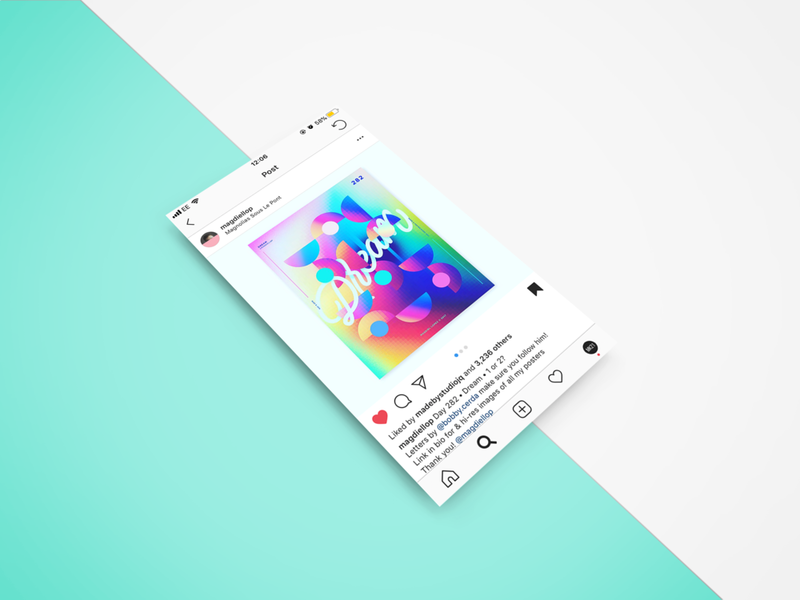 There’s just a few of our favourite Graphic Design instas that we think you should take a look at. Let us know on our socials who you decide to follow or if you have any suggestions of who we should follow. Back to the Future: Is the Future of Design in the Past?